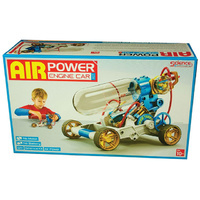 Air Power Engine Car Kit | It's fast, fun and doesn't require batteries! It's fast fun and requires no batteries! An inspiration for scientific vision! Your Air Powered Engine Car Kit is a marvelous educational science kit that you and your children will love! Whilst petrol and gas are currently the fuel of choice for most vehicles on our streets, petroleum is becoming increasingly difficult to source, and has a negative impact on the environment as it is mined,refined and transported. 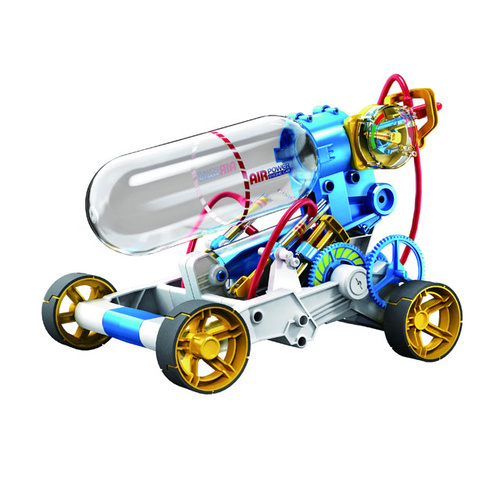 With this science kit however, you will learn all about alternative fuels and eco-friendly vehicles, including the Air Powered Engine Car that you can build and propel with compressed air. What an inspiration for scientific vision, everyone can have a go! Assembly and operation are quite easy, when the air is pumped in and released it expands and drives the vehicle forward up to 50 metres in just 35 seconds! It's fast, fun and requires no batteries, making it an excellent gift that will inspire and entertain kids for hours on end. 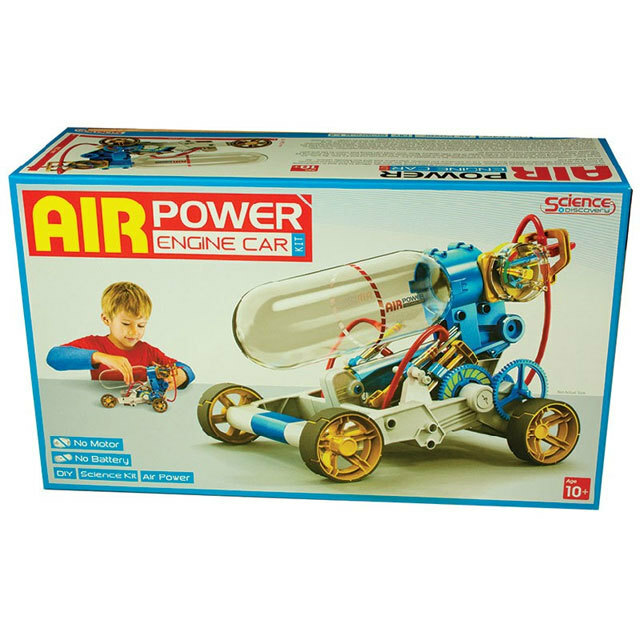 Your kit contains all the pieces required to build your Air Powered Engine Car, though you may also require some common household items such as a diagonal cutter, screw driver, hammer and scissors. Product was purchased for 11 year old boy. He loved it & was able to follow the instructions & put it together by himself. Still playing with it a week later.